Over last weekend, around 60,000 cyclists attended a climate justice festival in Paris, part of preparations by climate activists to try and ensure a decent result from the UN Climate Summit in early December. They have friends in what might have seemed previously unlikely places. This week Mark Carney, the Governor of the Bank of England, and chair of the Financial Stability Board, told the world that climate change is the biggest issue of the future and poses a huge risk to global stability, that fossil fuel stranded assets are substantial, and that investors must be given the data they need to “invest accordingly”. And Shell wrote off a staggering $7 billion worth of investment by deciding to abandon drilling for oil and gas in the Alaskan Arctic, while last week Goldman Sachs put out a report saying that “coal is in terminal decline”. The Conservative British government response to the climate crisis in the lead up to the Paris Summit is to argue in public that it's the market that should lead the changes required. But its new consultation about overhauling the UK's corporate carbon reporting and taxation landscape implicitly recognises the necessity of rigging the market to achieve the policy goals of reducing emissions – albeit under pressure from the European Commission. Its strategy, though, is to try and reduce the administrative burden on industry. The government's attitude, as expressed in a number of recent much criticised attacks on renewable energy and energy efficiency [link please to my recent article on this], is emboldening climate sceptics in the country such as Benny Peiser, who runs the cunningly named Global Warming Policy Foundation, and who issued a statement this week calling for energy-intensive industries such as iron and steel to be relieved of carbon taxes. The consultation seeks to develop a single reporting framework and a single tax in order to improve the uptake of energy efficiency measures. Writing in the foreword to the document, Exchequer to the Treasury Damian Hinds stresses that the proposals would not compromise the UK's decarbonisation efforts. The government acknowledges some parties believe mandatory board-level reporting "creates a standardised framework that can provide information on energy and carbon consumption to investors and other stakeholders to inform investment decisions", while also leading to a reputational driver than incentivises decarbonisation. This is not just a belief but is backed up by independent research and evidence. Consequently, it is proposing developing a "single effective reporting framework which incorporates the most effective elements from the existing range of reporting schemes and delivers a net reduction in compliance costs associated with reporting schemes". The Energy Saving Opportunity Scheme (ESOS) will be the basis for the new reporting system. This is the EU-backed scheme that requires around 10,000 of the UK's largest firms to undertake energy efficiency audits and report on their results every four years with the first audits due by December 5th this year. The government is consulting on whether the new reporting requirements should have board level sign off (well of course) and whether the data should be made publicly available (why not?). The CRC scheme would be scrapped to be replaced by a new version of the Climate Change Levy (CCL) that would aim to impose a more consistent carbon price on different businesses and industries, but elements of it would also be incorporated into an improved ESOS the tax system. It would seek to rectify the current imbalance in the rate of carbon tax imposed on electricity and gas under the CCL, which some believe has under-incentivised investment in improving heat efficiency, and is asking for opinions on whether the CCL should be set at the same level for all businesses with tax breaks then offered to sectors at risk from international competition or designed to be set at variable levels for different industries. Climate Change Agreements (CCAs) are voluntary agreements set up alongside the Climate Change Levy (CCL) that give eligible sectors a discount on the main rates of CCL in exchange for agreeing to energy efficiency targets. CCAs cover 53 sectors, ranging from primary industries through to manufacturing and service sector processes. This relief provides a 90% CCL discount on electricity and 65% discount on gas and other taxable fuels but the government acknowledges that views on the effectiveness of CCAs have been "mixed". "A number of stakeholders have suggested that CCAs are effective in mitigating the impact of the CCL and delivering energy efficiency improvements," the report states. "When asked if all sectors currently covered by a CCA were at risk of being put at a significant competitive disadvantage due to the CCL, some stakeholders said that they were not." Many environmental groups have said for a long time that companies are receiving tax breaks after making only marginal improvements to their energy efficiency. The government also wants to know which industries should be able to use the tax breaks to incentivise energy efficiency improvements, whether it should be extended to the public sector and charities, and whether further incentives are required to stimulate investor confidence in corporate energy efficiency, given the assumption that energy efficiency investment "pays for itself" but has failed to deliver optimised use of energy across the private sector. "The government is open to considering options for new incentives," it says, but any new incentives would have to be funded by tax increases in order to "support fiscal consolidation objectives". "Proposals would also need to be simple, meet strict value for money criteria and be more effective than other options". Any changes to the current regime are unlikely to come into effect until 2017. 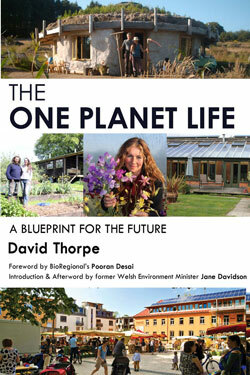 What are The Carbon Reduction Commitment and the Energy Savings Opportunity Scheme? The scheme is designed to target emissions not already covered by Climate Change Agreements (CCAs) and the EU Emissions Trading System (EU ETS). It features a range of drivers to encourage organisations to develop energy management strategies that promote a better understanding of energy usage and to take up cost-effective energy efficiency opportunities. Organisations that meet the qualification criteria of consuming over 6000MWh per year through half-hourly metering, must buy allowances for every tonne of carbon they emit, so have to measure and report upon their emissions. The scheme is expected to reduce non-traded carbon emissions by 16 million tonnes by 2027, supporting an objective to achieve an 80% reduction in UK carbon emissions by 2050. Evaluation of phase 1 of the scheme, which ran from April 2010 to the end of March 2014, by the Department of Energy and Climate Change (DECC) indicated that it succeeded in driving energy efficiency investments in more than half of obligated businesses. Almost all of them were taking some form of action to address energy efficiency, with over 70% of energy managers reporting that their organisation’s level of action on energy efficiency had increased since the scheme was introduced in 2010. The research also showed that rising energy prices were the main driver for organisations investing in measures to improve energy efficiency (80.5%), followed by an increase in board-level priority (67.4%) and a desire to improve or protect reputation (64.2%). The CRC scheme was ranked fourth, with 56% citing it as a key factor. The most common forms of energy efficiency measures taken included the installation of energy efficient technologies, improved energy monitoring, energy audits and increasing staff awareness through training and education. However, from a policy design angle, many participants questioned felt that it imposed a significant administrative burden, especially at the beginning, although it was later simplified. At the start, revenues from the scheme were recycled into rewards for companies to improve energy efficiency, perceived as a good thing, but later the government turned it into a general tax, which was either felt to be unfair or it was felt that the administrative burden should in turn have been lightened. Others felt that the process of reporting energy consumption and approving purchase of CRC allowances helped to make energy efficiency more visible within their organisations. ESOS is a new mandatory energy assessment scheme that was only established in 2014 by the UK government to implement Article 8 (4-6) of the EU Energy Efficiency Directive (2012/27/EU). It is aimed at large organisations employing 250 or more staff and with an annual turnover greater than €50 million, and, as with the CRC, the UK Environment Agencies are responsible for compliance and enforcement. These agencies hold a list of approved assessors. Establishments owned overseas are included. These organisations must either implement ISO 50001 or carry out their own audits of their energy use in buildings, industrial processes and transport every four years, to identify cost-effective energy saving measures, and notify the Environment Agency by a set deadline that they have done so. This involves calculating the total energy consumption, identifying the areas of significant energy consumption and appointing a lead assessor to be responsible for the whole process. Audits are based on 12 months' verifiable data and use energy consumption profiling. Energy saving opportunities must be evaluated for cost effectiveness based on the entire life cycle of the opportunity including cost of purchase, installation, maintenance and depreciation. However, there is no regulatory requirement for participants to implement the energy-saving opportunities identified: that is that up to the organisations themselves to decide upon. Penalties for non-compliance include financial penalties. 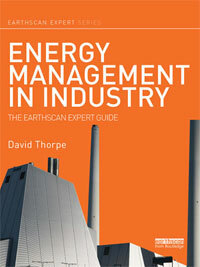 Mandatory energy management agreements are considered to be far more effective than voluntary agreements. Anywhere in the world where process plants are facing environmental regulations, compliance almost universally requires the mandatory measurement and documentation of energy use and emissions. 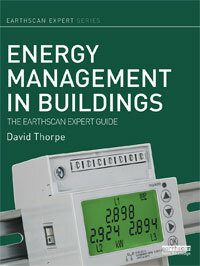 This is frequently linked to energy efficiency. awareness-raising about energy efficient appliances and systems. Federal Law No. 261-FZ established standards for regulating energy consumption and requires energy audits and metering for all public buildings. It required public agencies to reduce their energy and water consumption by 15% from 2009-2014, restricted the sale of incandescent light bulbs, required energy efficiency information on product labels, provided guidelines on mandatory commercial inventories of energy resources, and created standards on the energy efficiency of new buildings. In Tokyo, over 21,000 small and medium facilities are covered by a mandatory reporting program, and their emissions data is publicly available online. An additional 11,000 facilities submit and disclose their data voluntarily. In January 2010, the Energy Performance Certificate Program established a framework for non-residential buildings, requiring owners to present their buildings’ energy efficiency performance data with rated results. The U.S. Environmental Protection Agency (EPA)'s Greenhouse Gas Reporting Program, begun in 2009, established rules for the mandatory reporting of emissions from major sources and continues to enforce more recent and more stringent national environmental legislation. Some plants opt to pursue ISO 50001 to introduce a level of formal commitment to continuous process improvement. 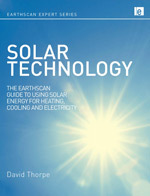 Solar Energy Reference Book (due in 2015). Who should pay the most to fix the climate?